We, at Stonewoods have a high level of expertise and knowledge to bring you the most complete service in the fireplace industry. See below for a list of our dedicated team and the services we can provide to meet your requirements. At Stonewoods we can provide a full flue design and build service using twinwall insulated chimney systems. Also, we can line your existing brick chimney for real solid fuel fire usage or for gas fires, both conventional and balanced flue for use with the High Efficiency Fires' Sector. Our teams are some of the best Flue Liner Specialists in London and can deal with any problems relating to chimneys or flues. Our experienced and courteous gas engineers are certified and registered by Gas Safe and qualified to carry out all gas related operations in regard to fires and fireplaces. We can run a new gas supply into a room as well as connecting any gas appliances for use with the fireplace. We have clean and efficient installers with 20+ years' experience in the industry. 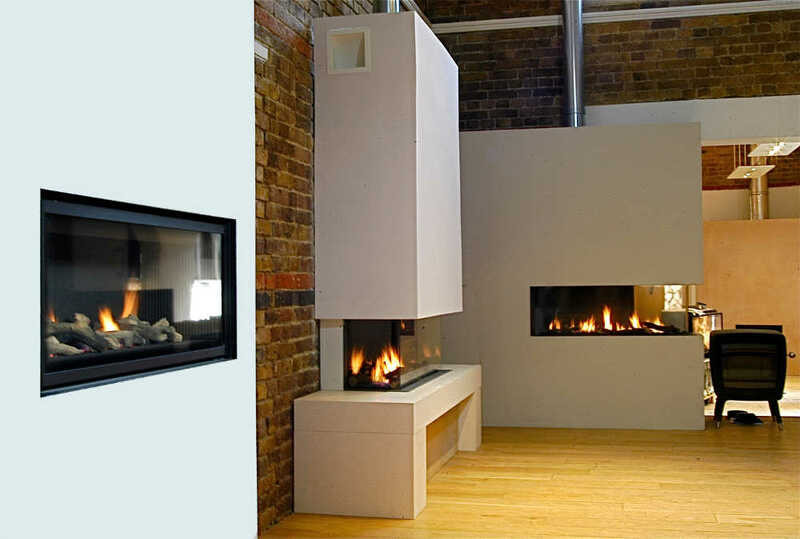 They are well acquainted with the numerous types of fireplaces over varying periods and are therefore prepared for any situation that can affect an installation. They are knowledgeable in London specific building regulations required within the installation process. Their expertise allows Stonewoods to do as much or little work as desired including plastering chimney breasts in preparation to installing a fire and utilising heat proof materials. The process in finding your perfect fireplace, gas fire or stove would ideally be to initially visit our beautiful showroom. Whilst here you can see a vast range of possibilities with experienced staff on hand to assist you. With an extensive wealth of knowledge on flue systems and fireplace solutions our sales and technical team are second to none. Using information either from yourself or a chimney sweep report we can formulate an estimate of the likely total cost. This would be followed up by a technical survey after which a more formal costing would be provided. Our specialist sales team have a wealth of knowledge regarding all aspects of the fireplace industry and with a helpful attitude and a keen eye for detail should be able to develop a quotation for any package to satisfy expectations. Feel free to come into the showroom and see them or for more information call on 0208 870 5555. For the initial chimney sweeping and testing of the chimney, verification of flue continuity and length plus termination type, we recommend Paul Clarke. We have worked closely with Paul for at least 20 years and have no hesitation in recommending him for a first class service. All types of chimney swept to B.S.6461. For a clean, reliable and professional service.